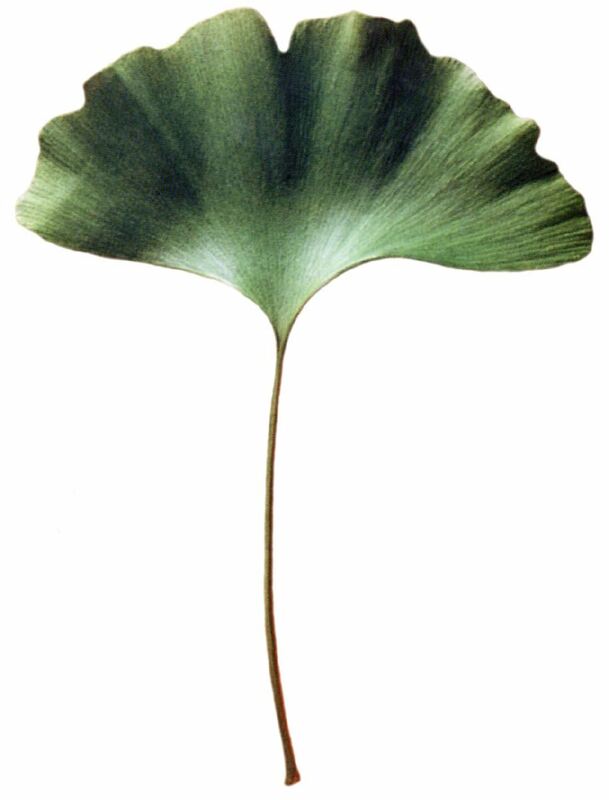 Over the ages the Ginkgo tree has been given various names. Duck foot tree, white nut tree, silver apricot, temple tree, Maidenhair-fern tree, Salisburie, grandfather-grandchild tree, forty Taler tree, Japanese nut tree, Golden Tree, Goethe tree, Golden Tree just to name a few. As far back as the 11th century, the tree was mentioned in Chinese poetry and in the 16th century in Chinese herb literature under the denomination >ya chio< ( duck foot ) or >yin hsing< ( silver apricot ). The latter refers to the silver-colored (white) cores with the orange colored shell. As >ginkyo<, >ginnan< and >itcho< ( Duck foot tree) it was included in the Japanese vocabulary. The fact that it is nowadays mostly known as "Ginkgo" is the result of a transcription error which managed to creep in the print of the botanist Engelbert Kämpfer"s (1651 - 1716) study of the tree around 1712. The >y< in >Ginkyo< turned into a >g< when he was translating the Japanese name into Latin. His denomination was adopted by Carl von Linné( 1771 ) and is binding for the botanical name collections. Linné extended the name by adding the addendum >biloba<, which defines the bilobed leaf shape.